I love this story. Most of the characters have depth. To a point the plot is slow because it's slowly interwoven into all the other stories. However, the stories seem good enought to stand on their own. Less Mushishi in overall feel. Would definitely recommend. Good comedic elements. This is hands down one of the best anime I have watched in so long! I loved all the seasons of it and was craving more after binge watching it! I was so incredibly happy. The beauty in the graphics and the developing story line and the character growth. It was just down right amazing. I felt so drawn in and happy. This is by far one of my favorites in a very long time. I love the feeling you get from this anime. The pacing, scenery, music, animation, character development; all of it! I never want this series to end and I'm so grateful it's was brought back after so many years. It translates the mange well to screen and I don't feel like anything is lost in the transition. I can't wait to see more of Natsume's adventures. Definitely recommend this series to anyone who likes Mushishi and Magus' Bride. Season 4 is just as entrancing as its predecessors. It does not dissapoint at all and each episode is enchanting. The dialogue and storyline draws you in endlessly. Natsume continues to evolve as a character which is quite refreshing compared to most shows. It is truly a series worth investing your time watching and reading the manga. An excellent anime and emotional rollercoaster! The great thing about this anime is that it is not about fan-service, super powers or defeating a final boss. It is about various relationships and emotional growth. Natsume Takashi has had to overcome many difficult obstacles in his life. They are not all caused by yokai, but rather family that doesn't want him nor want to understand him. He is was an outcast as a child, with a lot of pain to deal with as well as very lonely, something I can relate to very closely. This season expands on Natsume's new relationships and life and how he wants to protect both the yokai and people he loves. Another brilliant season by the writer! And again Natsume 4 is so great, the story is beautiful. The begin song is good and of course as normal by Natsume the end song is so special, it give you every episode a great feeling. I realy like the characters, they are serious and sometimes with a lot of humor. I realy enjoy to watch Natsume 5. In this season we get to learn more about Natsume, where he has lived and what kind of people he has lived with. We also get to see him open up more to the people around him. He tries not to be as closed off as he has been in the other seasons. The opening and ending in this season as well are really well done. I always worry when there are lots of seasons, if an anime will fade out. Or how they'll keep the story going. This one is doing it right. Finished this season, and into Go now, and I am still very invested. It's one I definitely recommend. I love the style of the art, and the color schemes. The personalities, and the twists. I have a hard time stopping! 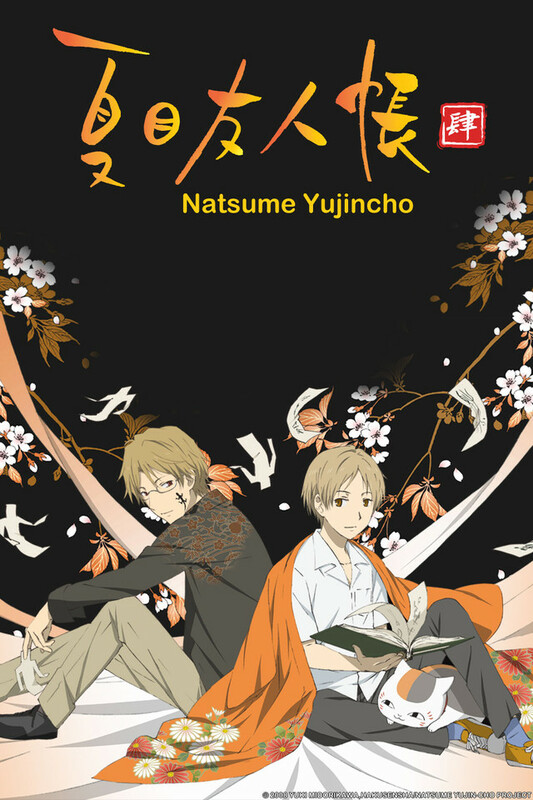 Natsume yuujinchou shi is the 4th season of Natsume Yuujinchou and is spectacular, just like the other seasons. It shows the adventures of Natsume brought to him by his grandmother's book of friends, that has the names of many youkai. It is a simple yet unique creation. Much more than I was expecting!! I am a person easily bored , when watching anything or readying anything I have to have something else on another tab or keep another book with me. With that being the case I don't go to the movies, very often, and if I do I tend to get bored half way. Because I am how I am I thought that I would watch three episodes at most and then watch something else until I'm bored with that... boy was I wrong. Never in my life have I ever been so entranced by something ,the emotions I felt. Not once did I get bored. I'm patient when something is not complete I come back to where I left off but every time I come to check I always start from the beginning and again I'm captivated.